I’ve read many articles on digital transformation and the need for businesses to adapt to the changing world we live in and the majority of them focus on the same few things. Transformation is all about understanding & leveraging my customer data, they tell me. It’s about investing in AI and voice search, using Blockchain and getting on board with the ‘Cloud’. The focus is always on technology, where I should be using it, what I should be using and why I should already have begun investing in it. These articles aren’t wrong - the above technologies are and will continue to change business as we know it. As technology rapidly increases the pace of change in modern businesses, some are already struggling to keep up. The graveyard of organisations who failed to adapt to a digital future is growing - think Kodak, Toys ‘R’ Us, Blockbuster, HMV, Borders, Pan Am Airlines - and research shows that since 2000, 52% of the companies in the F500 have either gone bankrupt, been acquired, ceased to exist or just simply dropped off the list. Yet, while the articles I read on transformation place great emphasis on the technologies that are driving business change, they rarely mention the people whom these technologies impact. The transformation of your business isn’t just about how much tech you can stuff into it. It’s also about your talent and how these changes will affect them. Education and training - while not massively exciting topics when you compare them to Machine Learning and Blockchain - are a fundamental piece of the digital transformation puzzle. And while the process of transformation is unique to each company that undergoes it, what isn’t unique is the technology-driven world our talent is now having to navigate. There are very few people within your business with the right skills and know-how to navigate the digital landscape; our clients tell us that when it comes to adapting to this new way of doing business, their biggest challenge is that not enough of their people understand how these new technologies work. It’s no longer enough to have a few digital natives or experts in your organisation, or to assume that your talent will simply pick this new knowledge up. Recruiting digital experts will fill certain skills gaps, but if you don’t have the necessary training available to upskill the rest of your organisation then expected business growth won’t be achieved. As business leaders, we have a responsibility to our people to invest in them by giving them the skills they need to solve business challenges in this exciting and evolving digital landscape. Education is an essential part of digital transformation. Get that education right and you’ll be faced with a far more confident workforce. Everyone will speak the same language. You’ll break down siloed thinking and then your talent can can start working collaboratively towards a shared vision around delivering better customer solutions. 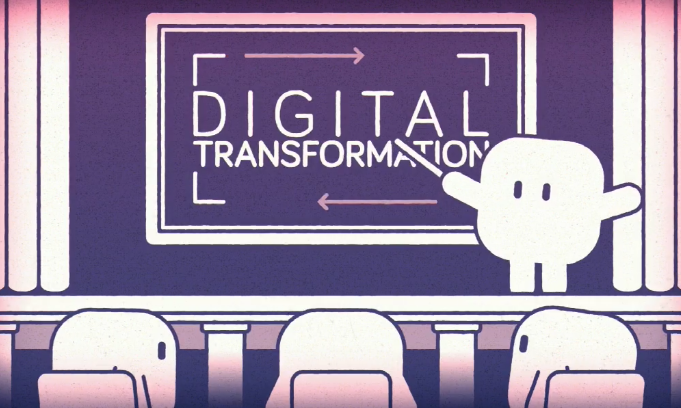 Education then becomes the foundation, the bedrock, of your digital transformation strategy. Ultimately, whatever company you’re in and whatever industry you work in, you need to recognise that these changes are impacting your business right now. You also need to recognise that in order to embrace the new opportunities that digital brings, education plays a really key role. In a world of failing legacy organisations and innovative new startups, if you don’t prepare your staff to meet the new world of business, they’ll find someone else who does - and you’ll risk being disrupted by another company who is capable of moving quickly to exploit gaps in the market you haven’t even seen yet. Without an educated workforce, you can’t embrace the future of business as successfully as you might want to. It’s a no brainer: before you can innovate, you need to educate. At Circus Street that’s what we can help you to achieve. More than just a buzzword, the time for Digital Transformation is here, and that poses a real challenge for many businesses. To hear more from Jonny about how our training can help you embrace the challenges and opportunities that Digital Transformation brings, visit our YouTube channel and check out our lessons on the subject.